«Khimki» - is a Russian professional men's basketball club from the Moscow region, founded in 1997. In addition to participating in the VTB United League, it participates in the Euroleague. The teams have already met this season on November 5 last year in Astana, when our team lost to the Russian «Khimki» with a score of 67-76. As for today, «Astana» stands 5th, and Khimki is 3rd in the standings of the VTB United League. If «Astana» basketball club can take revenge of «Khimki» will be revealed on March 25, the beginning of the game at 23:00 Nur-Sultan. Live broadcast of the match will be available on our website in the Match Center section. 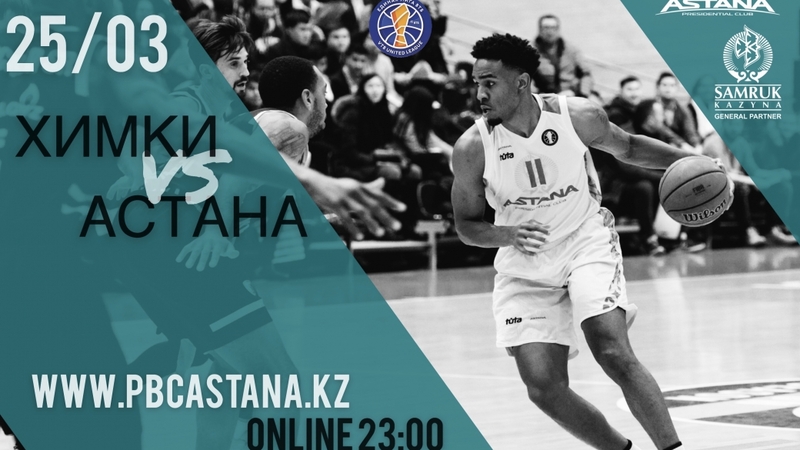 We remind you that on Saturday, March 30, «Astana» will host the Russian basketball club «Parma» on its court as part of the regular season of the VTB United League. The match will take place at the arena of «Saryarka» cycle track, starting at 20:00. Tickets for the match are already on sale on the website Ticketon.kz.